Can you share some details on that battery install? It looks great, and appears more functional than many other choices. Will Racecraft sell a kit based on yours? Thanks. Travis chose the smallest battery that would run the car and fabricated the box to fit it. They have no plans to offer a kit, I'm sorry to say. Bummer, but still looks great. We will be putting disc brakes F & R. Still sorting what we will be using in the rear so stay tuned. Don't stop giving us updates. Google Odyssey batteries and brackets. You can put sometime together yourself. Terry has been working on some details for the last week. Here is where we're at with a few. 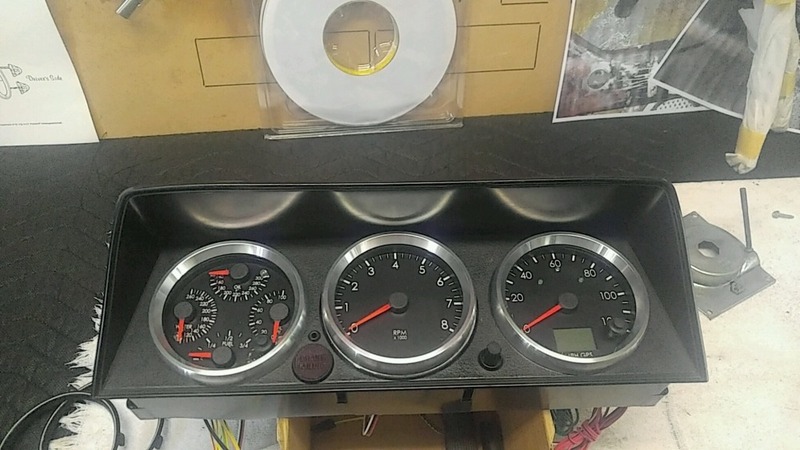 The gauges we ordered have arrived and he has them in the dash insert. I went for a retro look with satin rings and a Euro type face. We were able to combine 4 gauges in the left unit- fuel level, oil pressure, oil temp, and water temp. Terry test fit the rear wheels and the spacing looks pretty good. 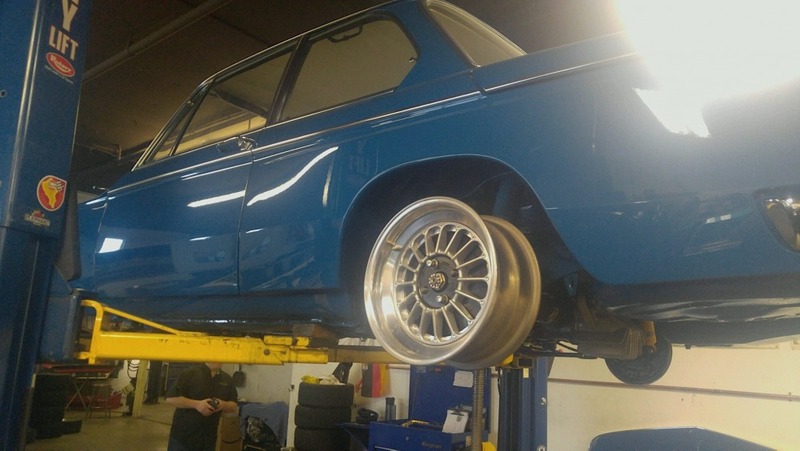 We will be putting 195/50-15s up front, and 205/50-15s in the rear. We will be using a coil on plug set-up for the ignition. He has all the details worked out for this set-up. 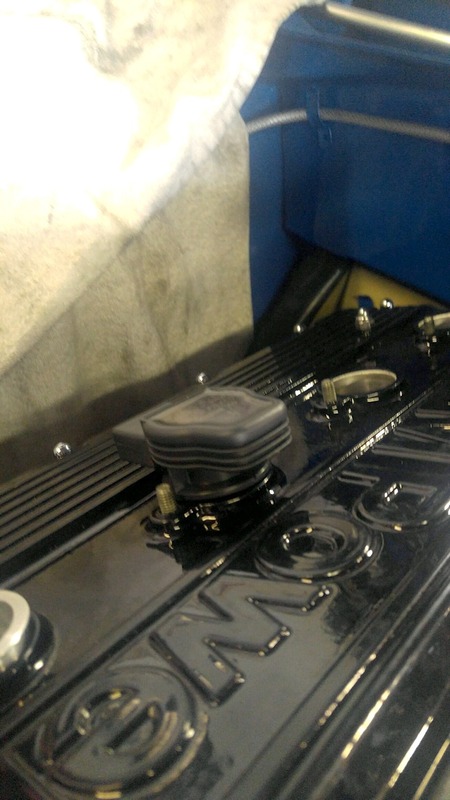 I see the valve cover has been milled and bored for the coil packs.. Extensions to the packs also? The build is gorgeous. Is the s14 a 2.5 liter? Those look like 2000-2005 era VW/Audi coils and the boots are already quite long. The plus side is they're very cheap and perform well. 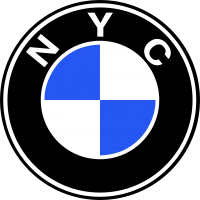 It is a stock 2.3. Used S14's are now pretty expensive to buy. Building them up is also expensive. 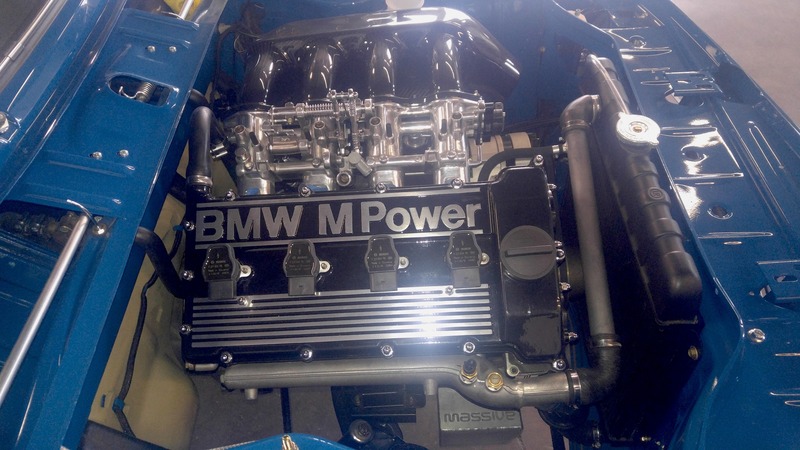 Terry Tinney just finished the race motor for my Group A M3 and it wasn't cheap. Tinney's rates are quite reasonable, but the parts are killers. It does make 285 HP at the rear wheels though so I'm happy. It does make 285 HP at the rear wheels though so I'm happy. Those look like 2000-2005 era VW/Audi coils and the boots are already quite long. Inch and a quarter short, not long enough.